As summer approaches, farmers markets are returning to Durango and the surrounding area. 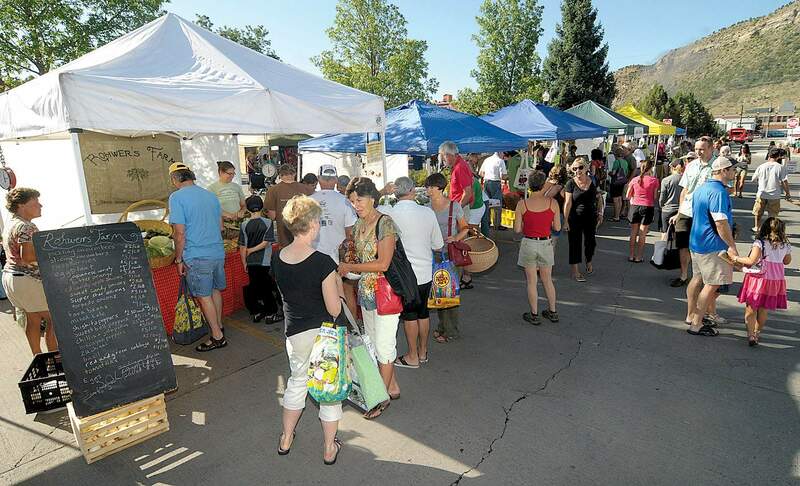 The Durango Farmers Market began on Saturday. It will be held every Saturday from 8 a.m. (9 a.m. in October) to noon in the First National Bank of Durango parking lot at 259 W 9th St. through Oct. 28. The Bayfield Downtown Farmers Market kicks off June 15 and occurs every Thursday through Oct 19. The market is open from 5 p.m. to dusk at Joe Stephenson Park at 134 W Mill St. The market will change locations and be held at the intersection of Mill and Pearl streets on June 15 and July 20 to accommodate block party celebrations. The Mancos Farmers Market starts on June 1 and will run through Oct. 5 on Thursday evenings from 4 to 7 p.m. at Boyle Park, 150 Grand Ave. The Cortez Farmers Market starts Saturday, June 3 at 7:30 a.m. It will be held every Saturday through Oct. 28 in the parking lot of the Montezuma County Courthouse on Main Street and S. Elm Street. The Dolores Farmers Market begins in June and lasts through October. It is held on Wednesdays from 4 to 7 p.m. at Flanders Park in front of Town Hall at 420 Central Ave. The Aztec Farmers Market begins July 5 and is held every Wednesday from 4:30 to 7 p.m. through October. It takes place in the Westside Plaza parking lot at 1409 W Aztec Blvd. The Farmington Growers Market starts on Saturday June 10 from 8 a.m. to noon. It will be held every Saturday at that time through October. It will also be held every Tuesday beginning on July 11 from 4 to 6 p.m.